GOSTD 75 Village & School Standard Cricket Wicket Top Dressing & Soil Conditioner is primarily formulated to provide a medium strength clay content loam with a healthy proportion of organic matter and good binding qualities. As a top dressing GOSTD 75 will help to provide a medium paced wicket and is ideal for venues where there is not a full time groundsman. 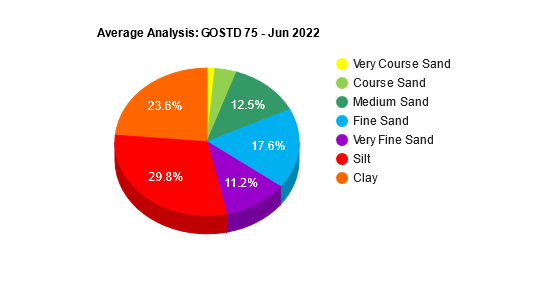 GOSTD 75 is also recommended for soil conditioning in conjunction with hollow tyning procedures, when the existing soil structure has broken down, stimulating root growth and promoting a healthy vigorous sward.